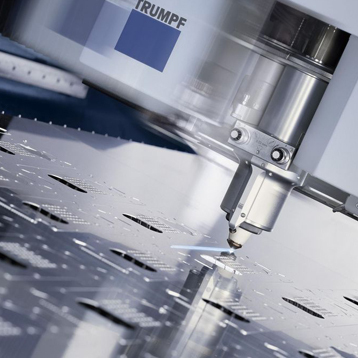 Laser cutting is perfomed by TRUMPF TRU LASER 3030 using a modern FIBER laser, which give us the competitive advantage. 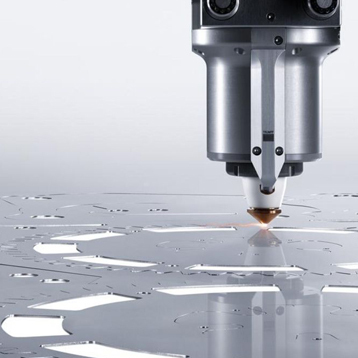 The key benefits of this cutting technology are: accuracy, cutting speed, shape diversity and high quality surface. This efficient technology enables us to produce high-quality products. Maximum stainless steel cutting thickness is 20 mm and for aluminium it is 10 mm. 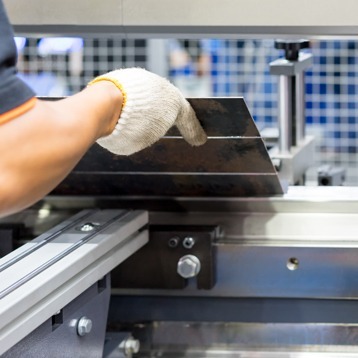 The bending of sheet metal parts is carried out on the new TRUMPF TrumaBend machine. The high precision of machine, together with a wide range of available tools makes it possible to solve very complicated bending shapes. Trained specialist staff, in cooperation with the control center, enables to achieve high precision and guaranteed quality of bending process. Pressing of fasteners ( nuts, pillars, screws, etc. ) into metal sheets is performed by hydraulic press machines. Modern machines guarantee high resistance against tearing or twisting. This method is used especially for the processing of very thin sheets. Debburing and edge rounding is done on the modern Time Saver machine, series 42. The centrifugal rotary brush stroke system perfectly seals and rounds the edges after laser or plasma cutting. The optional sanding belt will allow for final surface finishing to be achieved.